God’s voice fills you with peace, leads you, reassures you, enlightens you, encourages you, comforts you, calms you and convicts you. Satan’s voice rushes you, pushes you, frightens you, confuses you, discourages you, worries you, obsesses you and corrects you. Through prayer, stillness and ascetic life and the guidance of a spiritual father, you will learn to discern the voices inside you. Prudence and obedience is needed always. 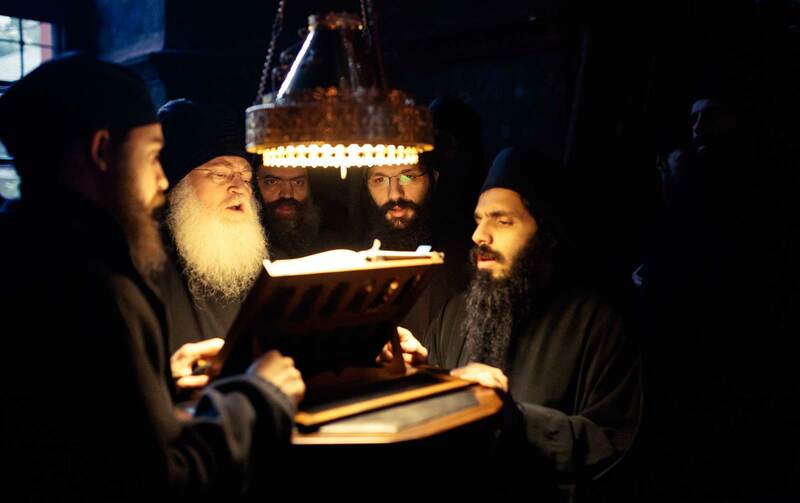 Elder Ephraim is chanting amidst the brothers.